More than just a quick thrill? Looking at the library of DS games it is evident that racing is a scarce genre, with motorbike racing being even more so; such games tend to generate little excitement due to the DS’s restricted graphics capabilities and potentially awkward controls. Despite this, will Moto Racer DS – the first outing of the series since 2002 – be able to fire on all cylinders? 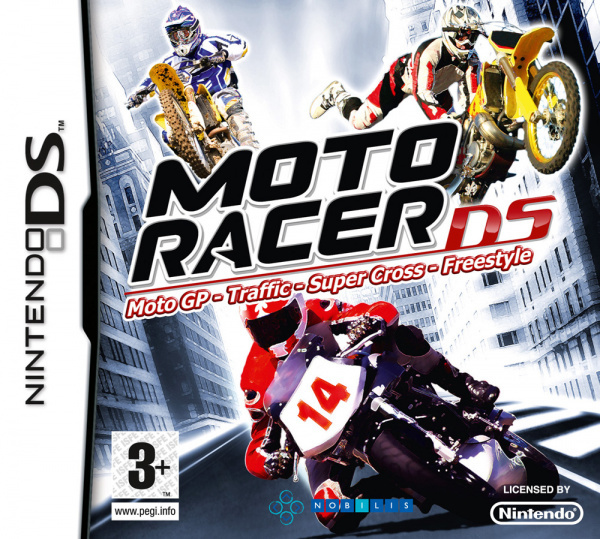 Moto Racer DS is arguably one of the genre's better titles for the DS as it manages to pack just enough variety to warrant replays – the different styles of gameplay keep it fresh for longer than expected. What is on offer here is a motorbike game with four different modes of play: Moto GP, Traffic, Super Cross and Freestyle. 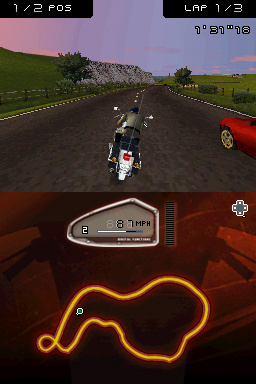 Moto GP is a classic racer set-up where players are put against computer AI on a selection of tracks that can be played in several modes: Championship, Single Race, Time Trial and Multiplayer. Championship is the single player racing backbone here: there are four different levels of difficulty to unlock, with the fourth and final cup, "World Tour," requiring the player to rank 1st in all of the preceding races – a mighty task with eighteen courses on offer. Single Race and Time Trial are exactly what you’d expect, and multiplayer lets you race the circuits with friends. Each of the circuits available in Moto Racer are varied and pleasant, if somewhat generic with samey backdrops that make you feel as though all of the circuits have been seen somewhere else before – though how much variety a racing game can have in terms of backdrop is arguably debatable. There are fourteen bikes available for the player to use, with the differences between each bike not merely being aesthetic. Every bike has individual specifications with differing strengths and weakness that gives the game an added level of depth – each bike offers a slightly different experience. The sheer volume of what is on offer just in Moto GP mode is really impressive; it could almost be a game in itself. However, the substance doesn’t just end with Moto GP mode: Super Cross offers an entirely different experience in which the player is challenged to do tricks atop a dirt bike over a selection of twelve arena-based settings that vary in difficulty and size. A range of challenges is available for the player to complete and there is a different selection of bikes available to choose from – each, of course, with their own specific strengths and weaknesses. The “trick system” present here is quite easy to get to grips with, as, for the most, it requires the player to simply press a shoulder button along with a direction on the D-pad. Branching out slightly from the typical professional motorbike experience is the “Traffic” mode. 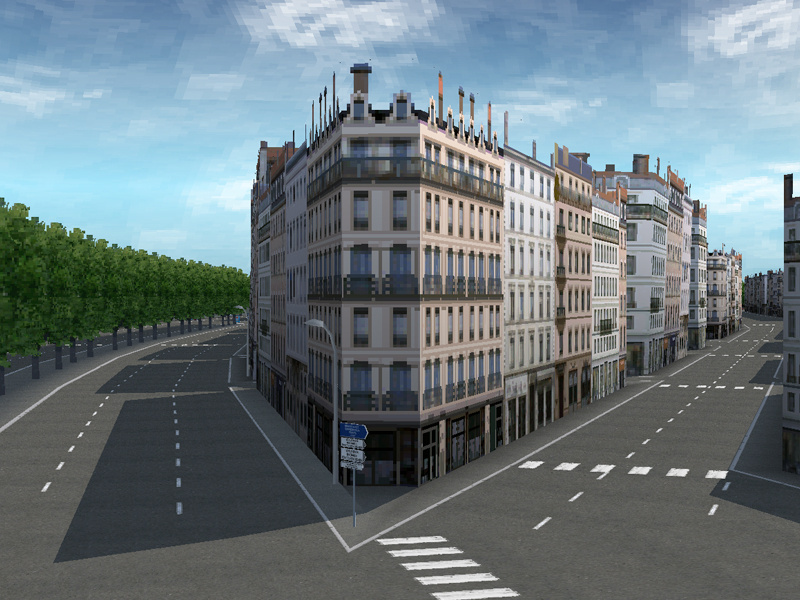 The premise here is simple: the player is placed on a busy road full of traffic and is challenged to make it round the circuit in a set amount of time while avoiding oncoming traffic. There are a total of ten missions in this mode with eight different bikes and ten new, pretty impressive circuits. There is also the option to go head to head with another player to see who can manoeuvre through the traffic best – great carnage! Freestyle mode challenges the player to master several bike tricks over the six featured circuits or the large stadium in which you can practice. There are many tricks to be learned and even a few hidden ones that the player will have to work towards unlocking. Overall, there’s a lot to be discovered here and this is possibly one of the more tricky areas of the game. In terms of presentation, on the whole Moto Racer is quite impressive to look at. 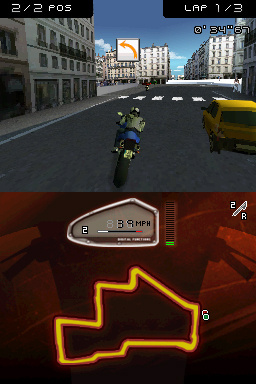 The circuits in all of the modes are fairly detailed and the bikes themselves are rendered quite well – not much more could really be expected from a Nintendo DS title. The developers seem to have taken full advantage of the Nintendo DS’s technical power, with the only slipup being the slightly dull menus. With regards to audio, the game has a pretty standard soundtrack full of rather generic, slightly tedious music. For the most, the sound effects get the job done but noises such as the sound of a motorbike can get somewhat grating on particularly long circuits. Moto Racer has evidently tried to cater to both touchscreen and button controls by offering the player two different control mechanisms: using the D-pad to steer and the A button to accelerate, or using the stylus to do it all on the touchscreen. While the inclusion of a touchscreen control system is nice, the execution is a little bit tricky – the D-pad system is by far the more suited control method. Even using the button combination, the controls still take time getting used to as the game is void of any sort of interactive tutorial and bike control – it’s pretty tricky to master the controls and learn to turn corners properly when starting out. However, once the controls are sussed there is little else in the way of new things to learn asides from tricks in the freestyle section of the game. We thought that this learning curve was a shortcoming for the game as, while it is initially very steep, it eventually becomes easy to the point where you can gain victory in every race. 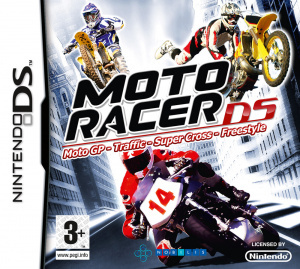 Overall, Moto Racer DS is a fairly strong title for the Nintendo DS that offers one of the best racing experiences one is likely to find on the platform. There is a great deal of variety to be found and, if played to it’s full potential, there is real longevity present. Even after all of the game’s challenges are completed, the local multiplayer mode will keep you occupied, albeit not as much as an online mode. The exclusion of online play is disappointing; we would have loved to see features from the PC series –namely, the online leaderboard – present on this handheld outing. It’s also a shame that the game’s touch screen controls fail to please and that areas such as sound feel a little dated and unpolished. And, finally, the vast number of different bikes available, while impressive, may only appeal to enthusiasts – the average-Joe player will probably opt for the most balanced, easiest to control bike. In short, Moto Racer is a must-have for fans of the genre, but for those unacquainted with racing titles and looking for a more light hearted approach to racing, perhaps Mario Kart is a safer bet. Interesting review. Think ONM gave it a 79% or something. I'm not interested in DS racing games other than Mario Kart though. I prefer them on the Wii. looks pretty good to me. graphics are any way might get it.